Yesterday I made the surprising discovery that Isaac Asimov contributed a short story to The Further Adventures of Batman— but not only that, this short story was one that reunited his famous Black Widowers! Entitled Northwestward, the subtitle reads “Black Widowers #61”. 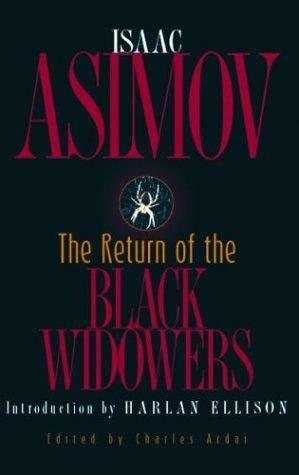 The story seems to have been an original one, and was only collected posthumously in the 2003 collection The Return of the Black Widowers. It seems like explaining the Black Widowers is redundant to mystery fans, but there could be someone out there who is unfamiliar with the stories. (Indeed, I myself have only read a handful of them, despite meaning to read more.) The Black Widowers are a literary dining club that meets once a month. Each month, a different person plays the part of the host and brings along a guest to the meeting. Women are not allowed. When the brandy is served, the Black Widowers being the grilling of the guest of honour, who is asked to justify his existence. 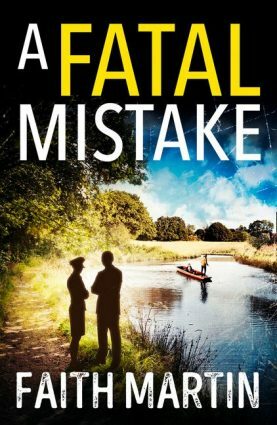 This is where the mysterious problem lies, and the Widowers fail to solve it. Henry, the waiter, is the one who comes up with the correct, and very simple, answer. All these elements come into play in Northwestward, when the Black Widowers are visited by a very, very special guest— Bruce Wayne! But this isn’t quite the Bruce Wayne we’re used to—in the Black Widower universe, Batman is a work of fiction, and Bruce Wayne was the true-life inspiration for the comic book hero. The whole situation is explained delightfully by Asimov, as fiction intermingles with “real life” in very fun ways. Bruce Wayne has a problem with his new butler, however. Cecil Pennyworth, the late Alfred’s nephew, has been a most satisfactory replacement. But a year ago, Cecil went to a convention with several valuable Batman collectors’ items. On his way home, Cecil phoned his master to tell him that he was being pursued and that he would go northwest. Bruce Wayne deduces that Cecil is going to a home he owns in North Dakota, so he goes there. But a few days pass, and Cecil doesn’t arrive! Frustrated and fearful for his butler, Bruce returns home— to find Cecil there, alive and well! Why would a butler lie about where he was going, and then when his master showed up, failed to apologise for the inconvenience he put him through? Is this an attempted theft gone wrong? Bruce Wayne thinks so, but the Black Widowers aren’t quite so sure. And as usual, it is the waiter Henry who comes up with the explanation. Northwestward is a delightful story in which Batman and the Black Widowers intermingle, and the best part about this story is the witty dialogue and the fantastic characters. There’s just one problem, and it is a common weakness of the Black Widower stories: the solution. It seems somewhat anecdotal, and to top things off, the wording of the ending is not entirely clear, which makes it slightly confusing. It’s a bit of an underwhelming finish to a top-notch story. But still, Northwestward is a terrific read and I highly recommend it, especially to fans of classic detective fiction. 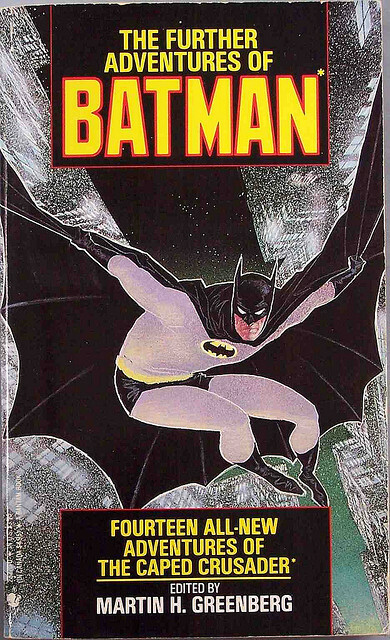 When I started this series of Batman-related reviews, I had no idea that it would tie into the world of classic detective fiction so neatly. It just goes to show that you never can be sure what to expect. If you liked this one, you should read "The Ultimate Crime," which is a Black Widower story with a Sherlockian theme. Or actually, it focuses more on Moriarty. 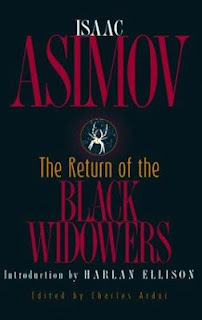 The Return of the Black Widowers also has a pastiche, entitled "The Lost Story," in which the Black Widowers help the SF writer-turned-anthologist from "Lost in a Space Warp" looking for a lost Isaac Asimov story. It was penned by Charles Ardai and it's one of the best pastiches I have ever read. Absolutely spot-on and a beautiful tribute to Asimov. You should read and review that particular collection, Patrick. Would love to know what you think of the other stories. Like you said, it's very well written, but the solution to the problem is so weak that is spoils the story for me a bit. I'd like to read some more, as the actual writing is so good, but I guess that I'll just have to enjoy them for the writing rather than the plotting. Hi there! Finding this entry a few years after the fact (as I google Northwestward). You might be interested to know that Northwestward was also included in another compilation beyond the Batman anthology and Return of the Black Widowers - it was released in the 1996 compilation "Magic," focusing on Asimov's fantasy work and fantasy essays.